Welcome to Texas Hospital Association. Serving Texas hospitals as the trusted source and unified voice to influence excellence in health care for all Texans. In today's THA Capitol Update, we take members deep into an issue in debate in the Texas Legislature. With less than 60 days left this session, lawmakers are hitting on their priority areas, which means balance billing is in the cross hairs. 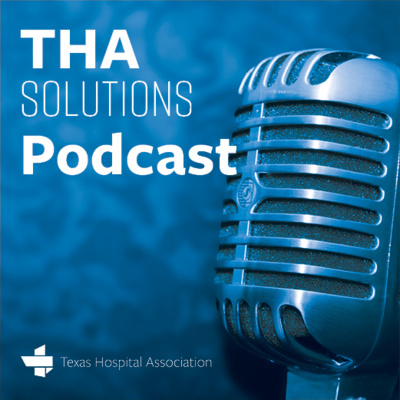 Hear THA's Senior Vice President for Advocacy and Public Policy John Hawkins and Lance discuss how hospitals are part of the debate. HealthShare sits down to talk about physician credentialing with Anthony Begando, CEO of Professional Credentialing Exchange. Also known as ProCredEx, which is also online at procredex.com, their joint venture with Hashed Health is bringing a physician credentialing data tool to the forefront now while others are still pondering what such a tool would look like. Those folks are a little late to the game. HealthShare discusses its role in identifying a partner in the space who can help hospitals actually take on the viciously time-intensive space that is physician credentialing by bypassing the issue of credentialing software altogether. Instead, they focus on creating an exchange whereby hospitals and physicians supply or store their source-verified credentials with protected yet easy access at any time. When a physician transitions to another facility, those credentials are accessible by the physician or the hospital where the physician is transferring. It doesn't matter which credentialing software the hospital uses or prefers. Now ... if you're a hospital still dissatisfied with your credentialing software, you should definitely take a look at our suite of solutions. In our portfolio, you will find a Verge Health, which has continued to provide reliable software and a team that can drive down total input time and deliver on the promise of fluid management of a physicians credentials. Left for a time to the viral syndication spurred by celebrities and conspiracy theory, the anti-vaccination movement might finally be taking the hit it deserves. Still, there's no shortage of detractors. Listen in as we talk with Dr. Bob Hendler who serves THA Foundation's clinical initiatives efforts with a physician perspective. Lance hosts Southwest Consulting's President Mike Newell to talk compliance and best practices for the Worksheet S-10, and its uses beyond Medicaid payments. Lance sits down with The Texas Tribune's Evan Smith to get a preview of the much-anticipated yearly political debate at THA's 2019 Annual Conference, as well as Smith's take on what's in store for Texas as the 86th Legislative Session kicks off in Austin. Lance Lunsford of Texas Hospital Association interviews the 2019 incoming THA board chair, Sally A. Hurt-Dietch of Tenet Healthcare. Sally discusses what she wants to bring in as the new board chair and why it's important to attend the THA 2019 Annual Conference and Expo. Lance Lunsford of Texas Hospital Association and John Freund, CEO, Jump Technologies, discusses supply chain solutions for hospitals. Lance Lunsford of Texas Hospital Association interviews Chris Klomp from Collective Medical. For more information about THA and Collective Medical, go to www.tha.org.